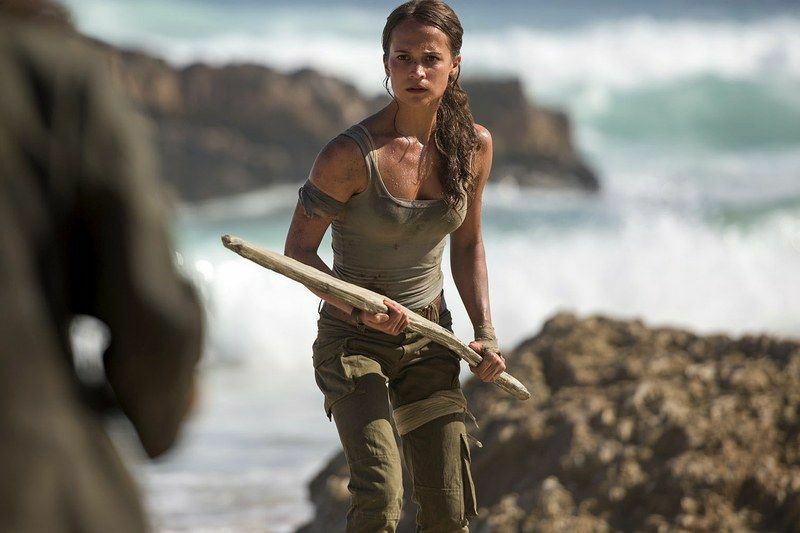 We’re still a year away from the Tomb Raider movie revival, but we already have our first looks at Alicia Vikander (Jason Bourne) as Lara Croft in Norwegian director Roar Uthaug‘s (The Wave) relaunch of the movie franchise. 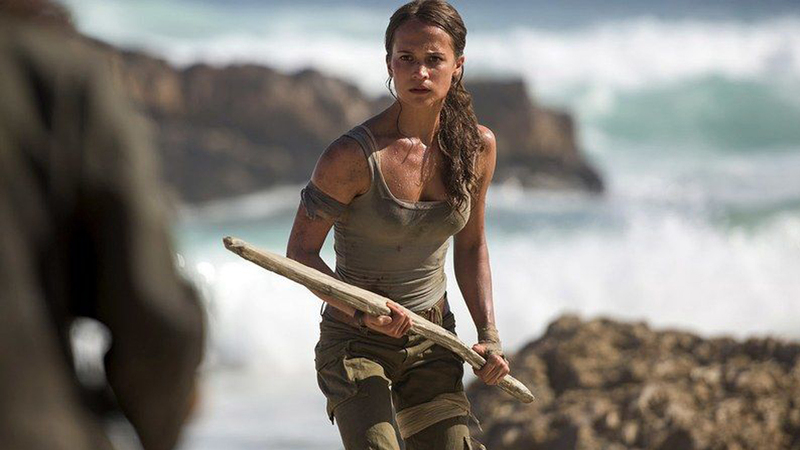 Unlike the original movies, which starred Angelina Jolie, this new movie is based on the 2013 Tomb Raider video game by Crystal Dynamics. 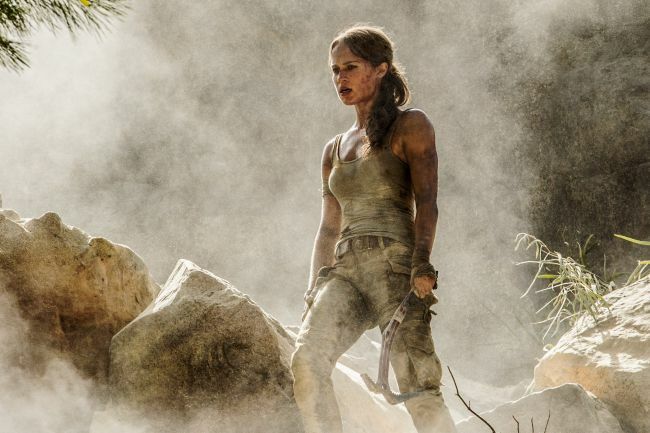 Tomb Raider was written by Geneva Robertson-Dworet. 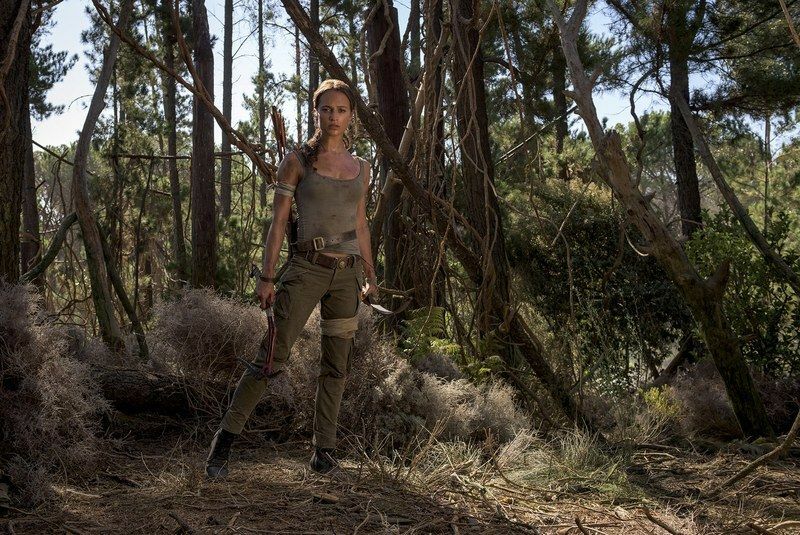 Walton Goggins, Daniel Wu and Dominic West also star. The movie is slated to open on March 16, 2018. Ha, totally! They should put that on the poster!